Known for its stunning white sands and clear blue waters, Cuba's beaches are free of large crowds and full of tranquility. Varadero and the northern keys of Jardines del Rey are only a few on the long list of flawless turquoise coastlines surrounding the island. Not sure where to head first? Here’s the lowdown on the most heavenly beaches in the Caribbean’s biggest island. 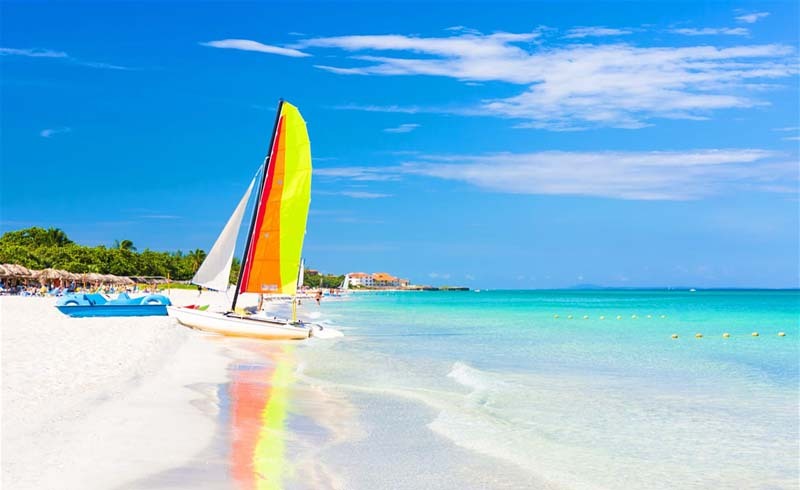 Varadero is the quintessential Cuban beach resort – warm shallow waters in gradual shades of blue, palm-fringed sand dunes and a phenomenal array of local restaurants and all-inclusive accommodations. Geared to holiday-makers, the peninsula unfurls for 12 stunning miles (20 km) of beach with room for, well, everyone. Considered among the best in the Caribbean, Varadero is one of those places that lingers in your memory long after your vacation is over. 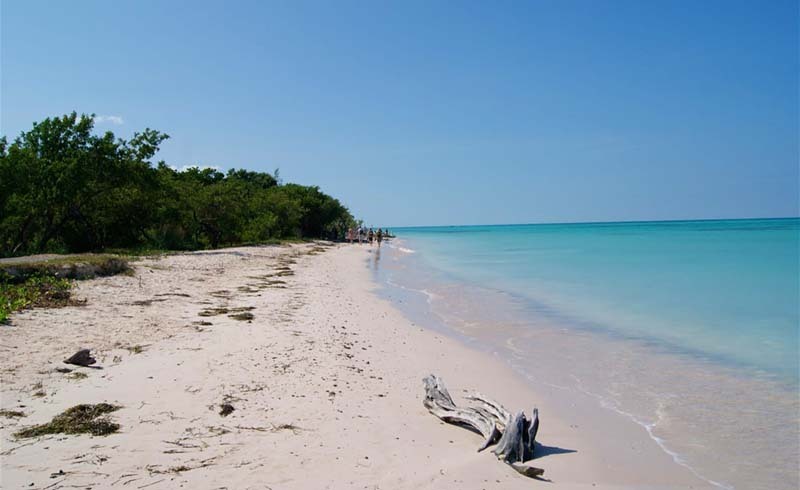 Often referred to as Cuba’s most beautiful beach, Playa Pilar has all the trappings – powdery sand, warm clear waters and more serenity than the beaches at its rowdier neighbor Cayo Coco. Pilar was a favorite hideaway for American writer Ernest Hemingway and rumor has it he searched for WWII German U-boats in the area. Whether that’s another one of Papa’s tall tales or not, Pilar is definitely a beach where time seems to stop. Try your hand at snorkeling, windsurfing, swimming or sailing to the nearby islet. Yes, the road to get there is full of potholes and the GPS might tell you its a hour-long trip from Viñales – it’s not. It actually takes about two hours, but it's worth it. 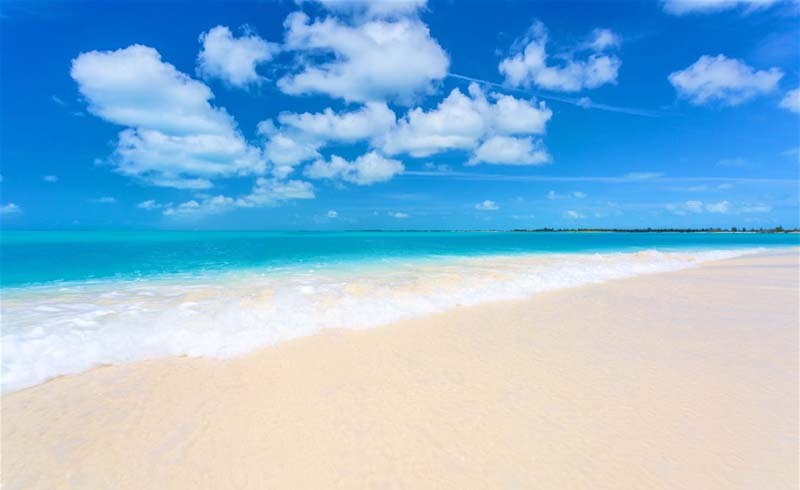 The beach at Cayo Jutías is as limpid and stunning as you can imagine. Picture aquamarine waves gently lapping at the shoreline, sun-soaked sands flanked by coconut trees and enough space for you to feel like your own private island. Head to the western tip of the cay where giant starfish can be photographed in the crystal clear shallows. There are also a few huts where you can buy snacks and drinks. The impossibly white sand, the blue-green belt of water around a narrow ribbon of land: it’s called "Paradise Island” for a reason. 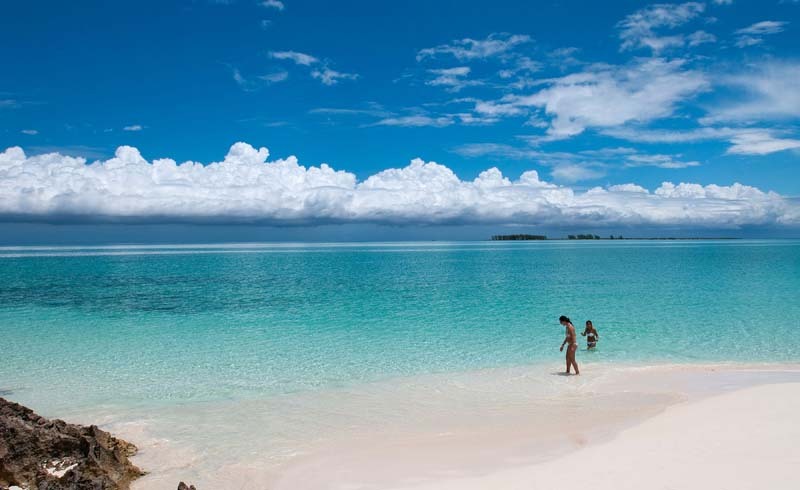 Cayo Largo’s most famous beach offers a heaven-on-earth feeling few places can match. Separated from Isla de la Juventud by 62 miles (100 km) of sea, Playa Paraíso sits southeast of Playa Sirena, on a secluded key with shallow shores protected from rough waves by an offshore coral reef. Hotels are not luxurious here, but the beach itself is breathtaking. Hotels huts on the sand offer equipment for kayaking and catamaran trips. 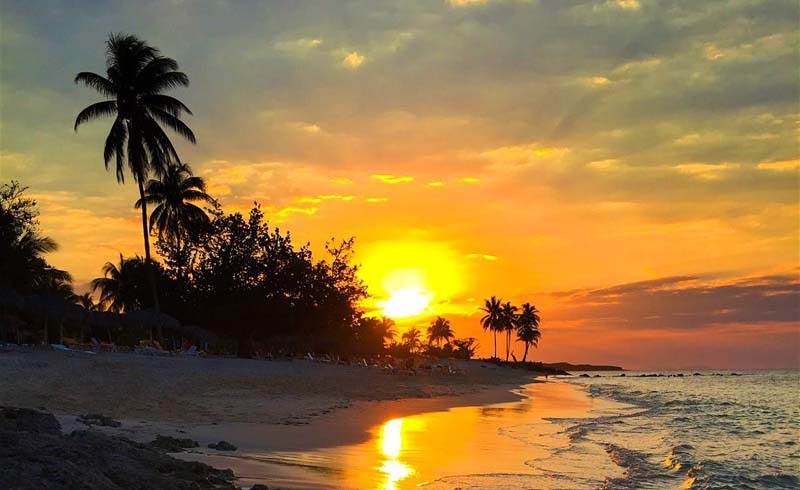 It may not have the bright turquoise shade of Cuba’s northern beaches, but Playa Ancón is arguably one of the island’s must beautiful sand-and-sea escapades and definitely the best of the southern coastline. Boasting a dazzling arch of sand with palm trees and calm, clear waters, Ancón also has over 20 diving sites near its shores. It’s a go-to for those looking for a beach day while visiting the colonial village of Trinidad or the French-inspired Cienfuegos. One of Cuba’s most contrasting landscapes, Holguín’s northern coast sports aquamarine shallows as far as the eye can see and verdant hills lining the sandy shoreline. Guardalavaca is usually promoted as the name of the entire region housing Playa Esmeralda, Playa Yuraguanal and Playa Pesquero – they’re all sublime. A handful of all-inclusive hotels dot the area, but beaches are public and popular among locals from May to September. The world’s second largest coral reef sits just under a mile (500 meters) from the shore so its ideal for snorkeling. 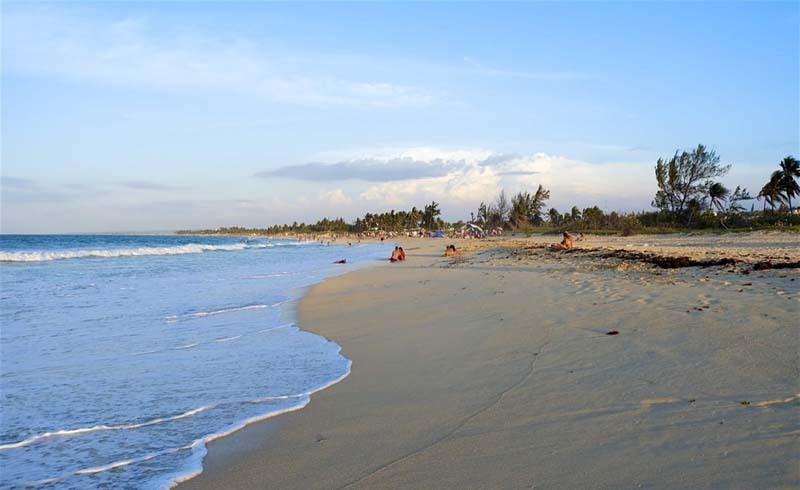 Facing the infamous Bahía de Cochinos (Bay of Pigs) in the southern coast of Matanzas, Playa Larga’s sandy beach is close to wildlife-rich Ciénaga de Zapata. If looking for a tucked away, tranquil fishing village, Playa Larga offers casas particulares (private homestays) sitting literally on the beach – just remember to bring mosquito repellent. Head 40 minutes to the south and indulge your snorkeling self at Playa Girón’s 984-foot (300 meters) coral wall. Arrange multiple immersions on a full-day guided tour or just enjoy the ocean views from a wooden rocking chair until the sun sets. 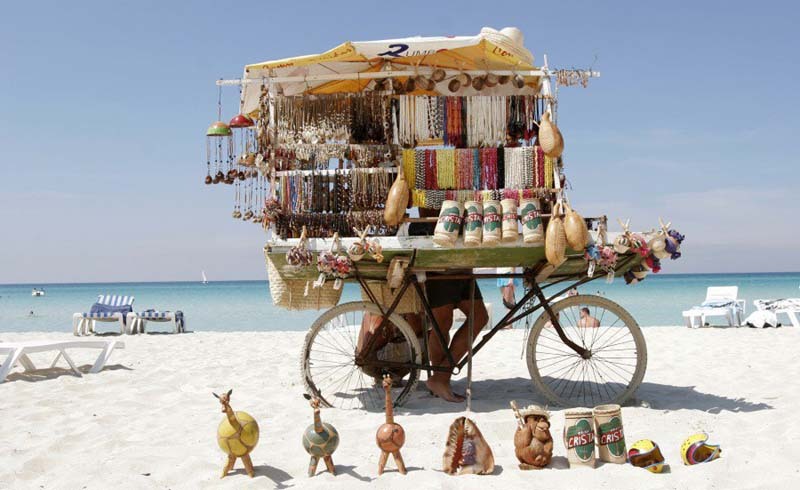 After intensely exploring Havana’s colonial quarters, a day (or at least half of it) at the beach is the perfect combo to relax both the bones and the senses. Playas del Este are the closest to Cuba’s capital – a 30-minute taxi ride leads to half a dozen delightful palm-fringed beaches. A number of beachfront mini-malls and private restaurants offer snacks and refreshments.